Institute of Banking Personnel Selection IBPS Common Recruitment Process for Clerical Cadre in the participating organizations (CWE Clerk) is being scheduled through an online exam along with interview and provisional allotment. For both IBPS Clerk 2019 Preliminary & mains exam, the candidates need to prepare well for the exam. The syllabus is mentioned for both sections below. Prepare from both sections in best way and refer the best study material for exam. Educational Qualification Required: Graduation from recognized University. NOTE: The question paper will be set in bilingual form except for English language. There is negative marking in exam. 25% marks are deducted for each wrong question. English Language: The basics of language is tested- Grammar sections like nouns, verbs, adjectives, idioms, phrases, speech, voice etc. Vocabulary, antonyms, synonyms, meanings are asked in exam. Comprehension passages are also asked in exam. General Awareness: The questions will be asked from- Current Events, Banking, General Science, Important dates, Current Science, Technology, Sports, Culture & Banking Sector etc. Computer Awareness: The basics of computers are asked in exam which includes- Input & Output Device, Computer organization, generations of computers, MS Office (Word, Excel, Power point, Access), Memory Orientation, Internet, LAN & WAN, Modem. The basic operation of computer are to be tested. Prepare for IBPS Clerk Exam Syllabus well and practice the questions. 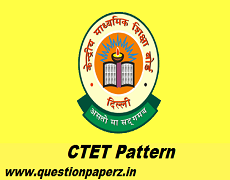 I have downloaded the IBPS CWE Clerk Question papers.rar from. But when try Unzip, it asks for password. Please help me to get resolved. Sir mai previous yearibos clerk & po ka question do unload krna chah raha hu nahi ho pa raha he plz help me kaun sa website se kare…..
Papers are sent to everyone’s ID, please check. i have 1 question about the ibps clerk exam its 2 exam so it is compulsory to preliminary exam clear and in preliminary exam the whole 100 question so its compulsory to solve all section ( like compulsory to all section clear this kind of) so please help me the query. sir can u provide me question pappers in hindi..
kya hindi language hata di h ibps exam sey ? In case of clerk, Hindi is not part of exam. Pls send me ibps clerk previous papers with answer key. please let me know how to download ibps model papers. They are sent to your ID, please check. hii sir can you plz send me IBPS clerk exam’s previous year question papers with answers.plz must reply sir. Can u send ibps clerk papers in Hindi? Sir,preliminary exam or mains exam me se surf ek exam dena hai. Sir Can u send ibps clerk papers in Hindi? Hi,agar kisine clerk exam papers download kiye hai so plzzzz send me…….my email id…..
hai sir, I am fresher,give some question paper plz..
Hi sir plz send me IBPS clerk previous year exam solved question papers. Please check your ID, papers are sent. Sir, thanks in advance for help to me. Sir, would you like to tell me important topics for IBPS clerk prelim exam? So, i can clear it. And stratergies to clear exam. MY meaning is that which topic should i learn first? Always go for the subjects which are strong in first, make them the strongest and then go for your weaker ones and give them maximum time to understand the concepts of this. Sir mujhe v hindi me paper avileble kara diji ye pls. Could u plz send me previous yr solved papers clerical cwe 1to v.
Papers are sent to everyone, please check. I want previous question papers , what can I do ? Papers are sent to everyone, please check on your ID. hello bhaiya please send mePreviouse paper of IBPS -po,clerk,IBPS- RRB PO,CLERK, ssc- chs, ALL PREVIOUSE PAPER…. sir send me all previous year question paper of ibps clerk plz..
Can u tell me how to manage timing for clerks ibps exam. You should solve the section which you know the best at start and followed by it you should all the time to your weaker sections. For this time management, you need to solve maximum of questions papers to get best of hands on experience. please send me ibps clerk previous year paper on my mail. sir,can u send me the previous year ibps solved question papers on both clerical and for po.it would be better if u send me ibps 2016 clerical 6 prelims exam answer key also. Plz send ibps clerk model test papers.